So, you’re looking into building your secondary home on your backyard and realized that there are different types of building structures being offered at vastly different costs. Now you’re a little confused? We don’t blame you at all. We get a number of inquiries about Kit Homes, Modular Homes, and built-on-site secondary residences in a day to day basis. Therefore we thought that it would be good to give some useful insights on how these types of secondary housing options differ from one another. Aside from the method of construction, they also differ in costs and value over time.You will need to seek approval from ACTPLA and from a certifier. You will also need to apply for an owner builder licence. Kit homes are the pre-built houses or ready-built shells of houses that you buy and delivered to your property to put together yourself. The frames and components of the house in a kit home are partially constructed, so if you are looking into saving for construction cost, you can choose to be your own builder and assemble it yourself. You can customise the interior of your home in any way you choose. But of course, just like any other construction works, you have to make sure that you are building it correctly and making sure it’s going to be habitable and stable. that you have contacted the people who can help you get the job done prior to building a kit home. Modular Homes are also prefabricated like Kit Homes – the only difference is the construction method. Modular involves building the sections of the house offsite, in a factory-controlled environment. Once completed, the modular house will be transported to the intended property and finish the final construction on the intended site. The value of Modular Homes does not depreciate like the houses built onsite. You still need to arrange for services, such as; plumbing to be trenched and electricity to be connected. Built on site is exactly how it sounds, many granny flat companies, builders and secondary residence companies do this type of method. 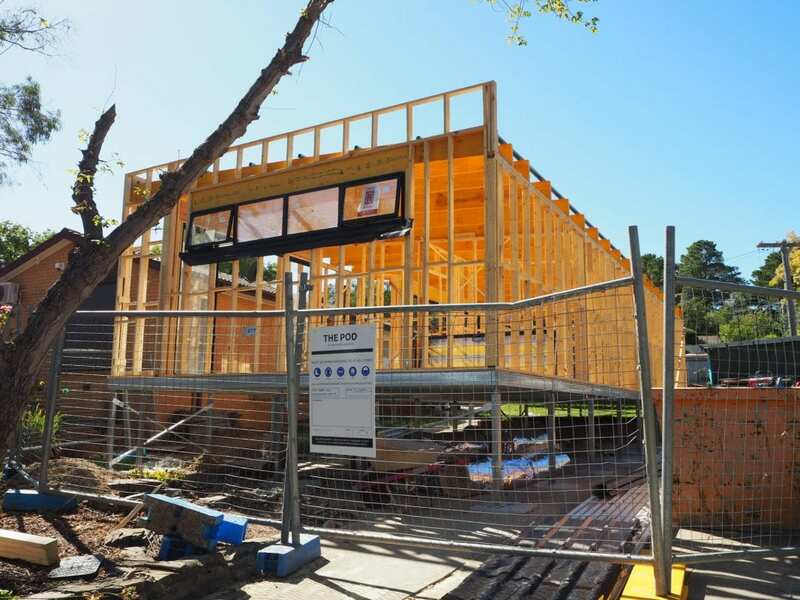 Companies like us, The Pod Canberra, have our own builders and will build your secondary residence at your site from start to finish. Our products get delivered to site and you can watch the construction happen in 8-12 weeks. In Canberra we must comply with the disability requirements, therefore if you’re in Canberra wanting to get a kit home, it will be approved without cooking facilities and might not be built to a class 1 structure which means it could be uninsulated like a garage, be very careful when getting quote on what you’re getting. Some companies who offer Granny flats do not deal with other requirements like council approvals, plumbing and electricity connection but some do, like us. There is no right or wrong or better or worse solution. Everyone has a different budget, requirements and expectations of what they are wanting. Researching all information, companies and details is super important in our opinion. We always suggest getting quotes from different companies with a built solution (all of the extras included) in order to make a decision that best suits your needs for your location. Ask for inclusions list, product lists and sketches of joinery as well as colour selections. This is great to check you’re comparing apples with apples as well as prepare getting the level of service you will require in order to enjoy your new secondary residence, kit home or modular home.